EMRANI, Seyaed Ebrahim and NIKNIA, Massoomeh (2017) The Role of the Educated Professional Librarians in the Redefinition of Mission, Duties and Role of the National Library of Iran. Paper presented at: IFLA WLIC 2017 – Wrocław, Poland – Libraries. Solidarity. Society. in Session 112 - Poster Sessions. 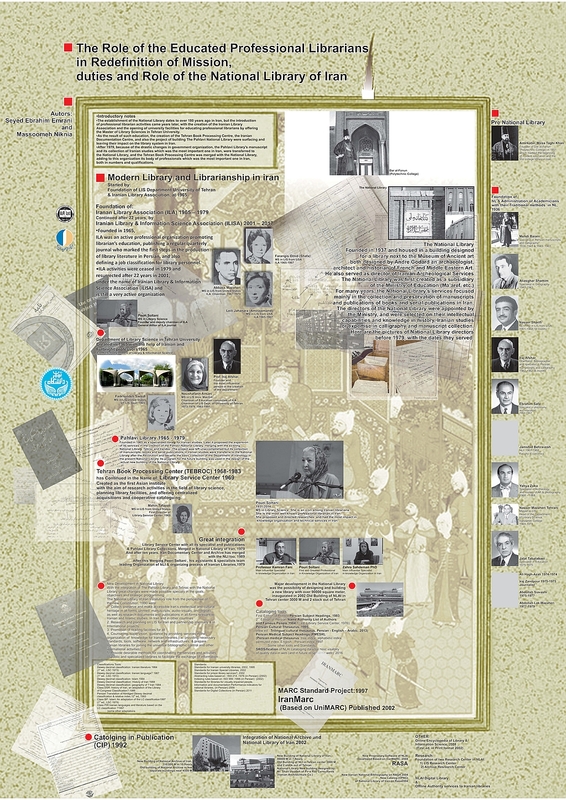 The establishment of the National Library dates to over 180 years ago in Iran, but the introduction of professional librarian activities came years later, with the creation of the Iranian Library Association and the opening of university facilities for educating professional librarians by offering the Master of LIS in Tehran University. Up to 1937 the National library’s staff were empirical librarians and didn’t have scientific librarianship knowledge. As the result of such education, the creation of the Tehran Book Processing Centre, the Iranian Documentation Centre, and also the project of building The Pahlavi National Library were surfacing and leaving their impact on the library system in Iran. At the same time in 1966 a group of librarian founded Iranian Library Association which played an important role in the future of this profession in Iran. 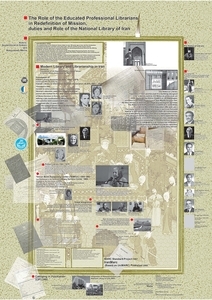 After 1979, because of the drastic changes in government organization, the Pahlavi Library’s manuscript and its collection of Iranian studies, were transferred to the National Library, and the Tehran Book Processing Centre was merged with the National Library, adding to this organization its body of professionals which was the most important one in Iran, both in numbers and qualifications. During a 10-year period the National Library with assistances of these educated professionals redefined its missions, duties, constitution and functional statement to provide a better service for the Iranian libraries and librarians. New projects were continued with Cataloging in Publication in 1988, codification of Iran MARC standards in 1998 and a new software based on the Iran MARC in 2003. Today the SKOSification of the OPAC data of the National Library for more visibility of Persian data have been done.